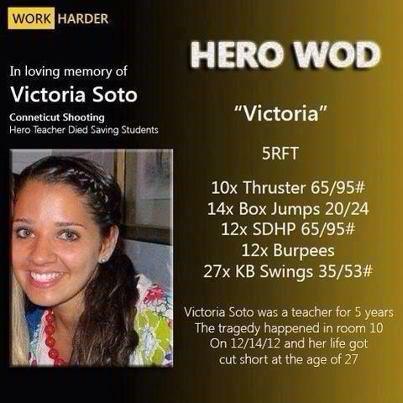 Party of 5: A WOD for "Victoria"
This morning I had the privilege of doing a workout in honor of Victoria Soto. In CrossFit speak, we call it a "Hero" WOD. There are several out there but when it was put out that today's workout would be in honor of the Sandy Hook teacher who sacrificed herself to save her students' lives, I knew that I had to be a part of it. 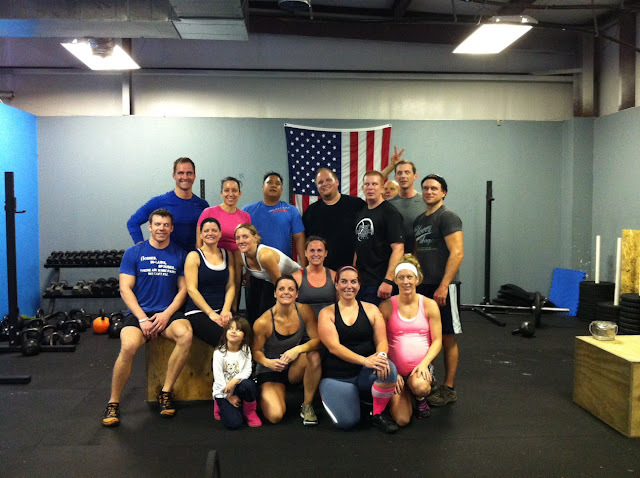 This wasn't just something that my box (gym) participated in, CrossFit boxes across the country have been doing this workout in honor of Victoria. I was so sore going in to this workout. I mean so sore that I was having trouble going up and down the stairs but I really wanted to do this WOD. I wanted to do it for Victoria. 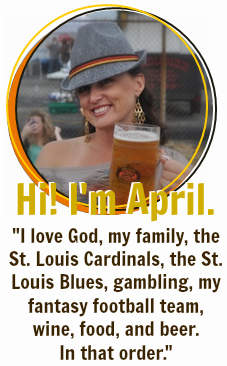 I wanted to do it to honor her spirit and all of those who died. I wanted to do it so that the shooter didn't win. It was tough. By the 3rd round I felt that doubt creep in and it would have been easy to say that I couldn't go on. Every time those thoughts would enter into my mind, though, I would just take a few extra breaths and think about Victoria. She gave me the inspiration to go on. She gave everyone in the strength to go on. My time ended up being 34:12. It wasn't about the time. It was about finishing. It was about not giving up. It was about fighting until the very end and we all did. When I finished this morning, I was overcome with emotion. Not only was I just happy that the workout was over because I was totally spent but I was happy that I didn't give up and I was incredibly sad that Victoria has been added to our list of Heroes. I am so proud of the people below. Everyone gave everything they had this morning. It is mornings like this one that makes me so grateful that I have found this CrossFit family. 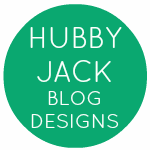 It's an remarkable piece of writing in support of all the web users; they will obtain advantage from it I am sure.